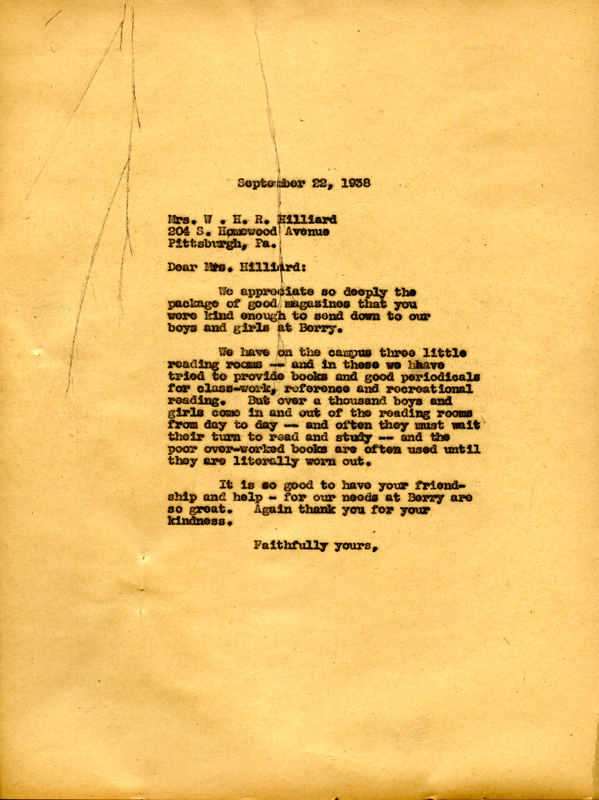 A thank you letter from Martha Berry about the magazines that W. H. R. Hilliard sent for the reading room at Berry. Miss Martha Berry, “From Martha Berry, To W. H. R. Hilliard.” Martha Berry Digital Archive. Eds. Schlitz, Stephanie A., Christy Snider, Jessica Hornbuckle, et al. Mount Berry: Berry College, 2016. accessed April 24, 2019, https://mbda.berry.edu/items/show/14505.